Charlie Puth is popular for his 2015 number See You Again which was released for the hit film Furious 7. The celebrated singer and songwriter released the track which he produced and performed in collaboration with Wiz Khalifa, in honor of deceased actor Paul Walker. Before fame, the young singer established his own account on YouTube on the 9th day of September 2009 but his first video came towards the end of the year. At first, he did a combination of self-made music and other videos for the channel but later restricted it to music alone. In addition to the foregoing, the versatile entertainer is known for songs like Attention, One Call Away and We Don’t Talk Anymore. Charlie Puth joined the Catholic and Jewish family of Charles and Debra Puth on the 2nd day of December 1991 in New Jersey where he was brought up alongside his siblings Mikaela and Stephen (twins). The young singer’s early education was accomplished at Holy Cross School and Forrestdale Middle School. He started at Manhattan School of Music Pre-School from his seventh grade and in 2010, he graduated from Rumson-Fair Haven Regional High School. His formal education did not stop there; in 2013, Berklee College of Music awarded him a degree in music production and engineering. The singer came into contact with music early in life under the tutelage of his mom who earns a living as a music teacher. Subsequently, he was able to copy, record, and sell a Christmas album when he was in his sixth grade. During his years at Berklee College of Music, his uploads on social media caught the attention of Ellen DeGeneres who signed him and his partner Emily Luther to her Warner Bros.-affiliated eleveneleven record label in 2011. Charlie’s interest in music was inspired by his mom Debra Puth, a Jewish woman who works as a music teacher. Debra introduced him to the piano at the tender age of 4 and by age 10, he was already studying Jazz. He was named after his father Charles Puth Sr who earns his living as a real estate agent. The singer is a brother to twins Stephen (male) and Mikaela (female). Charlie Puth is of American nationality but his ethnicity is a mixture of Ashkenazi Jewish, Hungarian, and German. 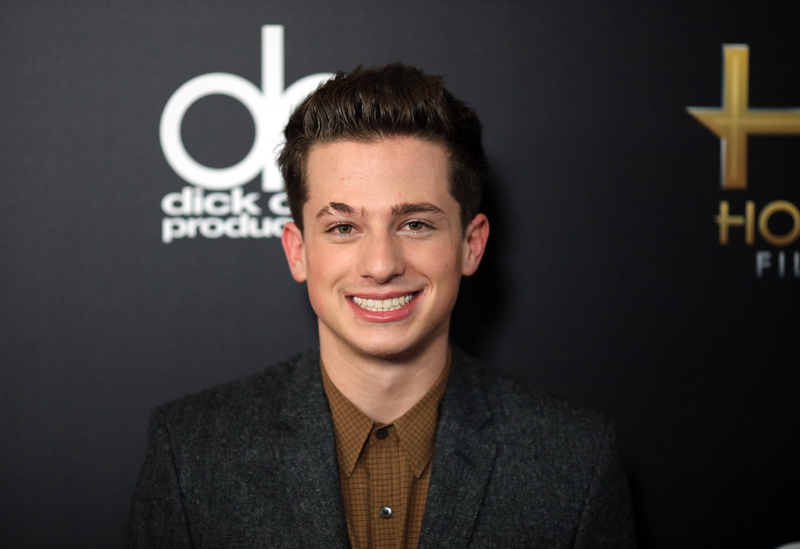 Talking about his relationship status, Charlie Puth is visibly single and is believed to have never been in any serious relationship in the past. According to his tweets on the 29th of July 2016, he really needs a girlfriend and the nature of his work which puts him on the road all the time makes it difficult for him to be in a relationship. The handsome singer’s relationship status does not rule out the fact that his name has been linked to that of some celebrity damsels in the past. It started with actress Hailee Steinfeld but neither Hailee nor Charlie came forward to confirm the rumors. Afterward, it was the turn of Meghan Trainor who starred in his song titled Marvin Gaye. This time, the duo was quick to speak up, refuting the claim. Selena Gomez who featured in his song We Don’t Talk Anymore was said to be his girlfriend in 2016. Charlie himself confessed that something did happen between them, it was very small but impactful, he claims. There was also Bella Thorne but none of all these ladies confirmed being in a relationship with him. It would appear that the handsome singer just cannot afford to run away from the dating rumors but that simply comes with being in the limelight. Charlie Puth has a slim body build, he stands at a height of 5 feet 9 inches and weighs a commensurate 70 kg. The singer also sports dark brown hair with hazel eyes. The American-born singer has amassed a huge wealth from his singing career, his song titled See You Again was a tremendous success, recording a sell of 25,000 copies within one week of its release. Although details of his earnings are not known, it is believed that he has accumulated a healthy net worth of $5 million. We are yet to substantiate this claim.